The Friends of Hardwick Road Cemetery have just completed their first memorial conservation project. Those who visited the cemetery on the Open Day in July would have had the chance to see the work in progress and talk to the conservator. The grave is that of Commander Thomas Curtis R.N. a Lynn man who was press-ganged into the navy in 1793 and died in 1855. Berfore and after pictures are attached. Those visiting the cemetery on Heritage Open Day (Sunday 9 Sept 10.00 until 4.00) will have the chance to see the finished memorial, as well as a display depicting the original colouration of the lettering and designs. A full restoration of this colouring is being considered depending on costings and succesful fund raising. There will be a guided walk starting at 1.30 on the theme of Lynn's traders (people not boats) and for the first time refreshements will be available throughout the day. Of course there will be the opportunity to search for family graves as usual. Does the burial records ever get corrected if an entry of someone's name is incorrect? By letter and from the disc my grandmother is M.E.Rye and her correct name is EDITH MAY. I also think that researches of the Rye tree think that M.E. Rye was the second wife of Stephen Rye b1859 who was named Elizabeth. The burial records themselves will never get corrected. Once made the entry has to stand. Original entries are made from information received from the family, via the Funeral Director, at the time the funeral is arranged. Since civil registration began towards the end of 1837 the name would be as shown on the Certificate of Disposal issued by the Registrar of Births and Deaths. Again this would be based on information received from the family when they registered the death. The burial data disc is another matter and of course this can be corrected if proven to be inaccurate. A comparison will be made with the original record and if an error is found this will be corrected. Just like other family history websites data will only be amended if an error in transcription has occurred. To date I have not tabulated any corrections but as I found an error last night with the grave section and number of an entry it did set me thinking it was about time that a corrections file was set up. More work for the winter months I guess, especially as I have not noted any corrections made to date in the master file . 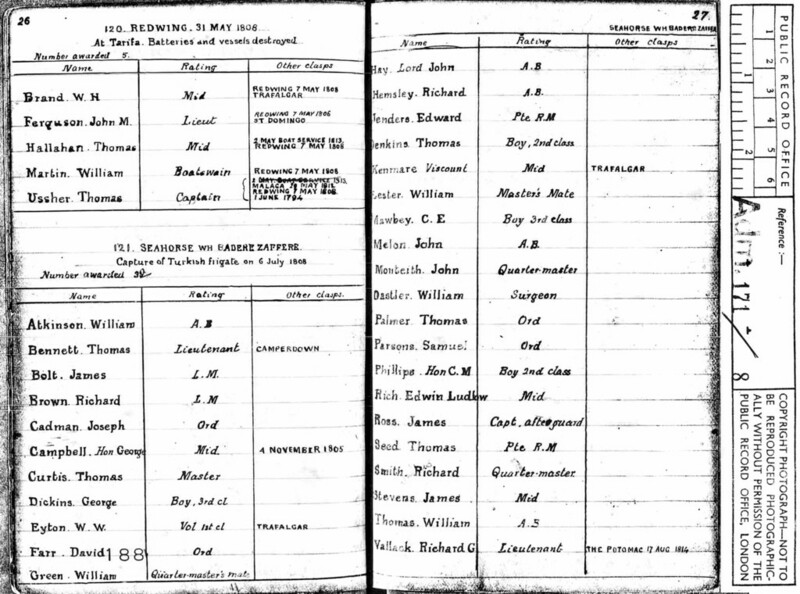 Have had a quick look at my disc and the original burial register image and found Rye, Edith May aged 58 widow Sir Lewis Street burial number 186600 is this the one you think is incorrect? If so the transcription from the burial register is correct and this would not be classified as an error requiring correction. Should have checked disc first, thank you. The entry is correct. It's the letter that has M.E.??? This is my great grandfather and I was so pleased to see the post. I have never been to England and would love to see this lovely restoration project. Thank you so much Hardwick Road Cemetery! Hi Marethw and welcome to the forum. The Friends of Hardwick Road Cemetery would be pleased to receive any info you have regarding your great grandfather and his family so that they could add it to their general knowledge bank. If you do not want to share that personal info on here you can send it via our own website http://www.hardwickroadcemetery.co.uk using the 'contact us' page. I have a considerable amount of information on Thomas Dillon Curtis but I think it would be better to get it off to you at your website. Is it possible to know what is on the grave marker. I am unable to read the words from the photo. thank you so much. Unfortunately the inscription is not very clear and we did notice further text engraved on one of the end panels but could not make out what is said, probably a biblical quotation. This is what we did note though. The text and embellishments were originally coloured red and blue and there are still small traces of the pigment in some of the corners. I can give some details about “Commander Thomas Curtis” from the Royal Navy who features in this grave. First of all; Thomas Dillon Curtis who has been mentioned was the Grandson of “Commander Thomas Curtis” in the grave and the son of “Captain James Dillon Curtis” (Commander Thomas Curtis’s own son), also of the Royal Navy (Captain James Dillon Curtis actually severed aboard HMS Albert during both the Seige of Sevastopol and the Bombardment of Kinburn in 1855, both part of the Crimean War). I am related to Commander Thomas Curtis’s wife; Jane Taylor Raven (2nd April 1790 to 1843) through her brother; John Stoddart Raven (11th May 1799 to 16th Feb 1886), who was my Great x4 Grandfather. A further brother; Henry Baldwin Raven (14th Oct 1782 to 11th Dec 1872) worked at the HM Treasury Office in London and was the Grandfather of Sir Vincent Litchfield Raven K.B.E.. There are many more notable members of the Raven family particularly in the military and the clergy. Two further sisters; Ann Sarah Raven (26th July 1794 to 1879) and Mary Ann Raven (31st March 1791 to the 17th Dec 1884) also married members of the Royal Navy (details of each marriage are below). I have more details on Jane Taylor Raven’s ancestors and other siblings if anyone is interested, but the Raven’s originally came from Norwich and not King’s Lynn. 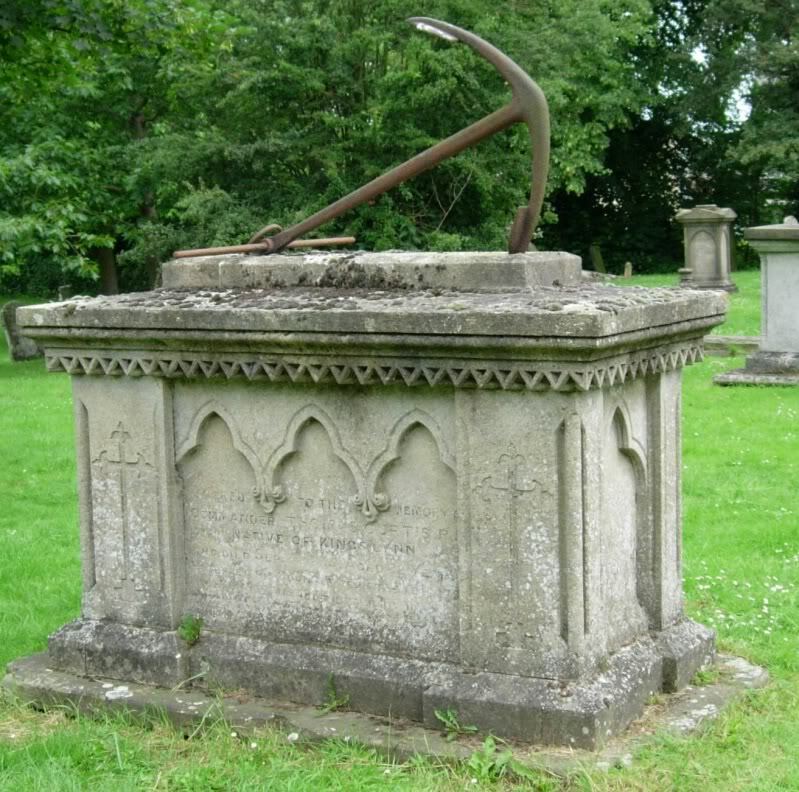 James Dillon (a Lieutenant in the Royal Navy) married Anne Sarah Raven on the 8th May 1802, at; Saint Giles Church, Norwich, Norfolk. Thomas Curtis married Jane Taylor Raven on the 30th June 1819, at; All Saints Church, South Lynn, Norfolk. 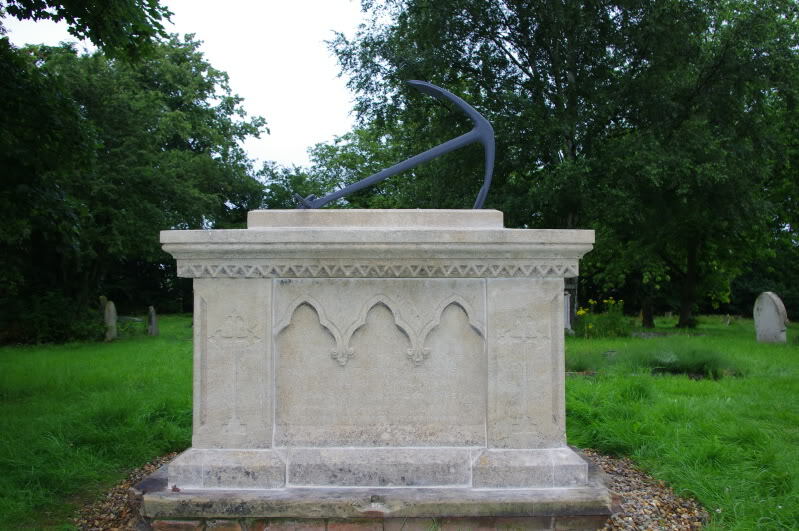 William Garland (a Lieutenant in the Royal Navy but later a Commander) married Mary Ann Raven on the 6th Jan 1819, at; All Saints Church, South Lynn, Norfolk. HMS Hope, 26th Sept 1796 to 29th Nov 1796 (2 months, 1 week & 2 days). HMS Vindictive, 30th Nov 1796 to 26th Jan 1797 (2 months & 2 days). HMS Imperieuse, 24th? Jan 1797 to 26th Mar 1801 (4 years 2 months & 2 days). HMS Wi??? ?, 27th Mar 1801 to 17th June 1804 (3 years, 2 months, 3 weeks & 6 days). HMS Lancaster, 18th Jun 1804 to 31st Aug 1806	(2 years, 2 months, 2 weeks & 6 days). HMS Seahorse, 2nd Dec 1806 to 24th Jun 1811 (4 years, 7 months, 1 week & 2 days). HMS Dannemark, 11th Apr 1812 to 29th Apr 1815 (3 years, 2 weeks & 5 days). HMS Protector, 15th Feb 1817 to 12th Mar 1818 (1 year, 3 weeks and 5 days). On the 6th July 1808, HMS Seahorse captured the Turkish Frigate; Badere Zaffere. In 1847 this action was recognised when the 38 remaining crew members of HMS Seahorse were awarded the Naval General Service Medal (NGSM) with clasp and Thomas Curtis was one of the 38 to receive this medal in 1847 and a medal role survives showing his name. On the 22nd August 1810, HMS Seahorse also saw action against the French Brig Renard. According to his service record, Thomas spent a total of 18 years, 8 months and 2 days at sea up until 1818. Thomas remained with the Royal Navy until 1845 probably on half pay while not at sea. He continued to live in Kings Lynn until he passed away on the 3rd September 1855. After his wife Jane passed on in 1843, Thomas is known to have married again. His second wife was called Sofia and by 1851, Thomas and Sophia lived at; number 8, London Road, Kings Lynn, Norfolk. Thomas left a will written on the 4th November 1850 and proved in London on the 22nd December 1855 by his executors; The Reverend Vincent Raven (nephew of Thomas’s first wife Jane) and Thomas Wells a chemist from Kings Lynn. The following of Thomas and Jane’s children all have a mention in the will; Thomas Michael Curtis (the will states that for some years Thomas Michael had been living in Australia), Francis Raven Curtis, James Dillon Curtis and Mary Jane Sherringham (nee Curtis). It should be noted that this Thomas Curtis was serving aboard HMS Lancaster in 1805. An “Able Seaman Thomas Curtis” was serving aboard HMS Mars at the Battle of Trafalgar in 1805, but I believe he shouldn’t be confused with our “Commander Thomas Curtis” who was known to be of a different rank and vessel at the time. In addition HMS Lancaster was not present at Trafalgar. Marethw, it looks like we may be distantly related and I’d be happy to share any further information I have with you . Hi I have a copy of the Hardwick Cemetery Burial Register disk however it has stopped working and will not load, is there anyway I can purchase another disk please Colin? We still have copies available to purchase and will have them available at the Open Day on Saturday 16 July. EWW told me about the disk for Hardwick Road Cemetery. I would really like a copy as I have relatives buried there, and, to assist with future family history this would be a valuable resource. Trouble is, I live down on the South Coast so wondered if you post them out. Better to PM or Email him Andy. Find them in his profile or bottom of any of his posts.